Walk the mystical country of Peru and uncover historical treasures hidden among the ruins and archaeological sites scattered throughout this stunningly beautiful land that once belonged to the ancient Inca civilization. 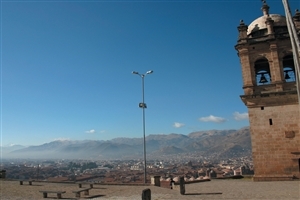 Explore the city of Cuzco and marvel at its ancient architectural landmarks. 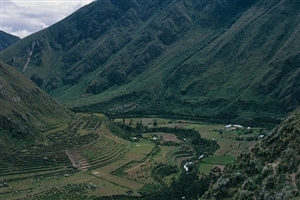 See the magnificent Sacred Valley, filled with the vibrant colours of the natural surroundings. 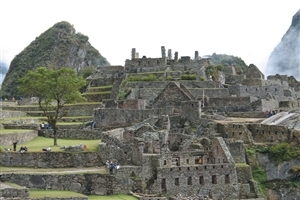 Discover the historical ruins of Ollantaytambo, and get up close with Incan history. 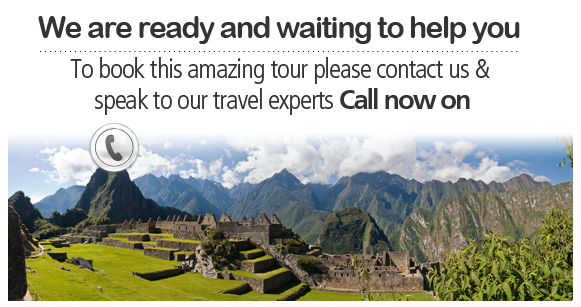 Look upon the splendour of Machu Picchu, one of the New Seven Wonders of the World. Visit the grand Inca Bridge, a once secret entrance into Machu Picchu. Catch an early flight into Cuzco, the illustrious capital of Peru, spend the day exploring the city’s numerous wonders alone or on an optional tour. 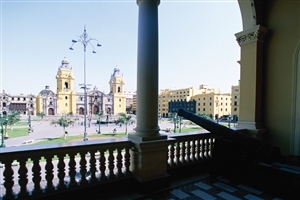 Be sure to see the Plaza de Armas, filled with historical stone arcades and the façade of the Church of La Compañía de Jesus. Visit the Qurikancha, a once sanctuary to the Sun God Inti during the Incan Empire. Navigate the streets of the colonial buildings to Hatun Rumiyuq and see the magnificent stonework of the Stone of Twelve Angles, a huge landmark in the city’s history. Take a guided tour of the Sacred Valley and Ollantaytambo excavation site and ruins filled with intricate Incan designs and architecture. Continue on to a Planeterra weaving community project, and take the opportunity to browse a local marketplace. Spend the next four days on a guided hiking trail and visit the glorious Machu Pichu, located on a ridge above the Sacred Valley, it is considered the most iconic of the Incan monuments and is one of the New Seven Wonders of the World. Explore the dry stone walls of the once intact site as it slowly progresses along with its restoration. Take an additional optional trip to the Inca Bridge which was used as access to Machu Picchu, before finally returning to Cuzco. Depart Cuzco at any time for your return flight home.